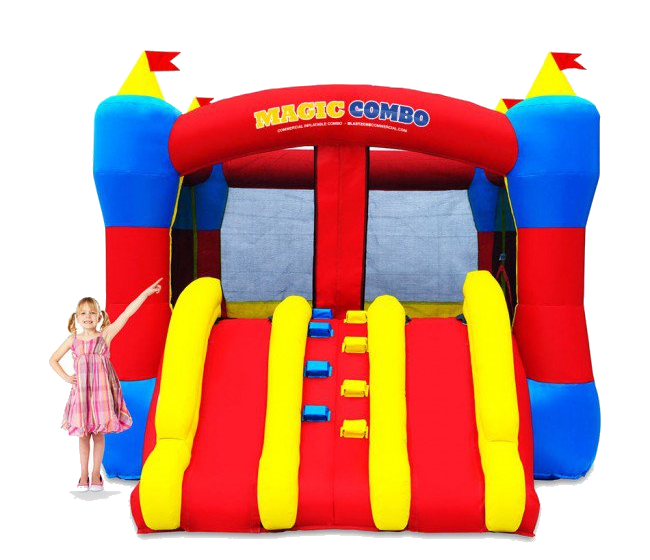 This 20×20 Jumbo Jump is great for bigger parties and sure to draw attention. This massive bounce house can handle up to 12 kids at a time, or 6 adults for the young at heart. Measuring at 20’L x 20’W x 15’H, with a max weight of 1200 pounds. 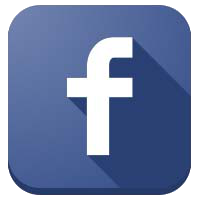 This monster guarantees hours of fun for everyone, and is great for any get together and will stand out at any event. This Jump and Slide Commercial Combo provides a huge interior bouncing area, climbing wall and exterior slide. Appealing to both boys and girls, makes this inflatable ideal for every occasion. 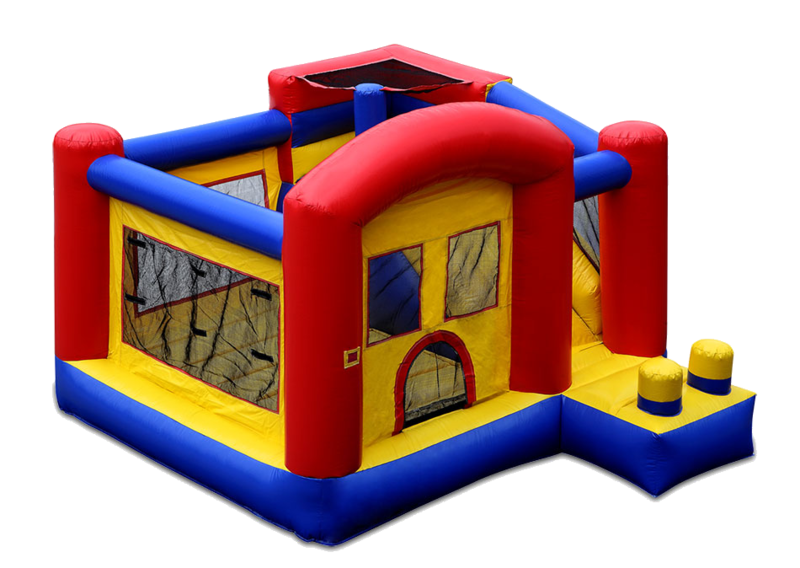 This bounce castle holds up to 5 children, measuring at 12′ W x 14′ L x 9′ H with a maximum weight of 600 pounds at a time and is sure to be the center of attention. Children everywhere will enjoy this ride from start to finish. 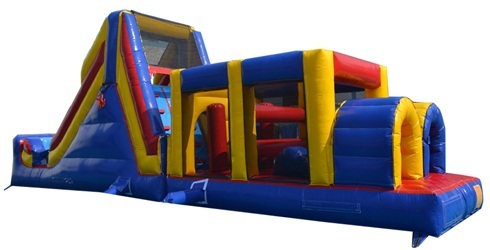 This 40 foot obstacle challenge takes children on a larger journey through tunnels, around horizontal and vertical pop-ups, with plenty of climbing and sliding along the way all to guarantee hours of enjoyable physical activity. This inflatable can also support up to 4 adults! This obstacle challenge will build confidence and make the kids want to do it faster the next time. 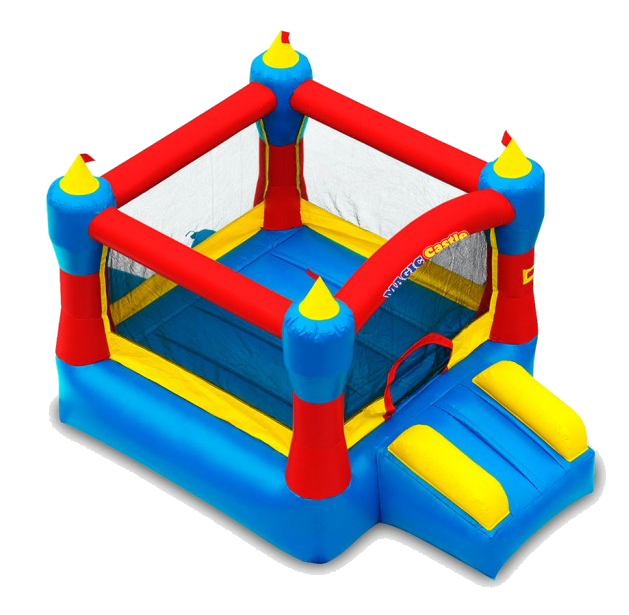 Our Mini Jumbo Jump 8 is a perfect birthday bouncer. 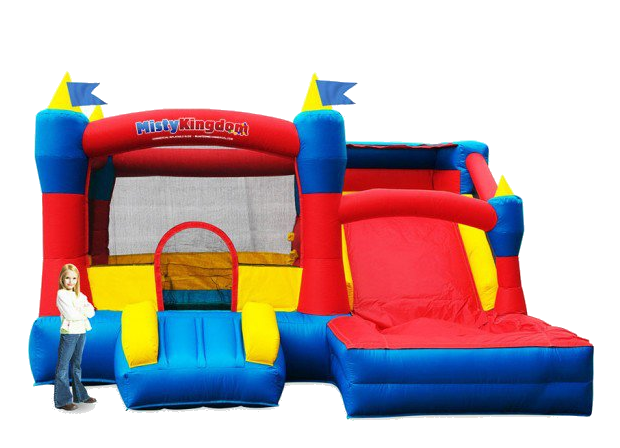 This commercial grade 8x11x9 Mini Jumbo Jump bounce house is great for smaller parties and limited space areas. This inflatable is appealing to both boys and girls. Holding 4 players and a maximum of 500 lbs. With our commercial safety netting and a snap-shut door, you can rest assure that our children play safely. 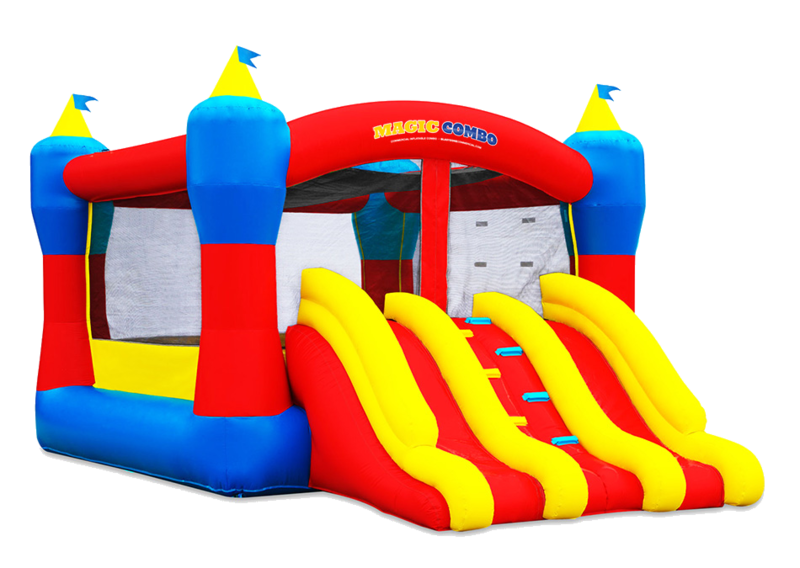 The Marvelous Super Hero Combo 10 is a great commercial inflatable providing a huge bouncing area a climbing ramp for double access into the 10×10 bouncing area. Holding 6 super heroes with maximum weight of 600lbs, the double racing slide lets your children embrace their inner super hero allowing them to be as FAST as SUPERMAN or as BRAVE as BATMAN. Our 15x10x9 bouncy castle is as strong as the HULK. 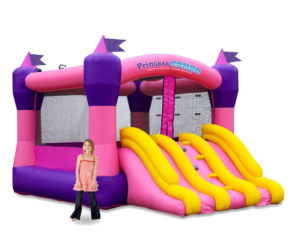 Enjoy this Enchanted Princess Combo 10 its a perfect commercial inflatable for your next little princesses birthday party providing a 10×10 royal ball platform. Run up the stairs and back down to fall into your happily ever after. Our 15x10x9 is the fairest of them all. Holds 6 children, maximum 600 lbs. The Super Soaker Kingdom Combo 500 is sure to be a hit on those hot summer days. Jump into the 7×9 bounce area and get cooled with a splash going down a water slide. 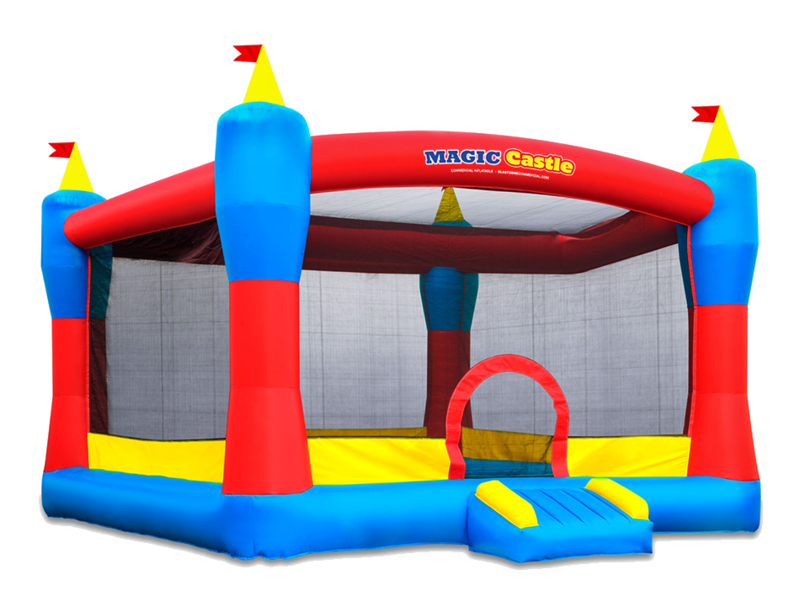 This bounce castle measures in at 13x13x8 and can also be used dry on those cool summer evenings letting children play for hours. Holding 6 players, maximum 900lbs.